Discussion in 'Pakistan Army' started by The SC, Jun 26, 2014. Spada 2000 air defense system (Medium Range SAM): PAF bought 10 batteries of Spada 2000 system in 2007. Each battery has two firing sections, each section has Missile Launcher housing six ready-to-fire ASPIDE 2000 missiles with a range of 25km. RAC-3D (Spada-2000's radar) has the capacity to track 100 targets simultaneously within a range of 60km. long range, L-band, 3D solid-state radar designed to perform airspace surveillance missions. AN/TPS-77 3-D long-range surveillance radar that has accurate target data at ranges up to 250 nautical miles and elevations up to 100,000 feet from a radar that can operate 24 hours a day, even with no on-site personnel. Mistral missile operators undergoing training at an air defence unit. Mistral is an infrared homing surface-to-air missile. Crotale Surface-to-air unit going in action. Crotale is all-weather short-range anti-air missile with a range of up to 16 km. AAA for VAs/ VPs and TBAs. 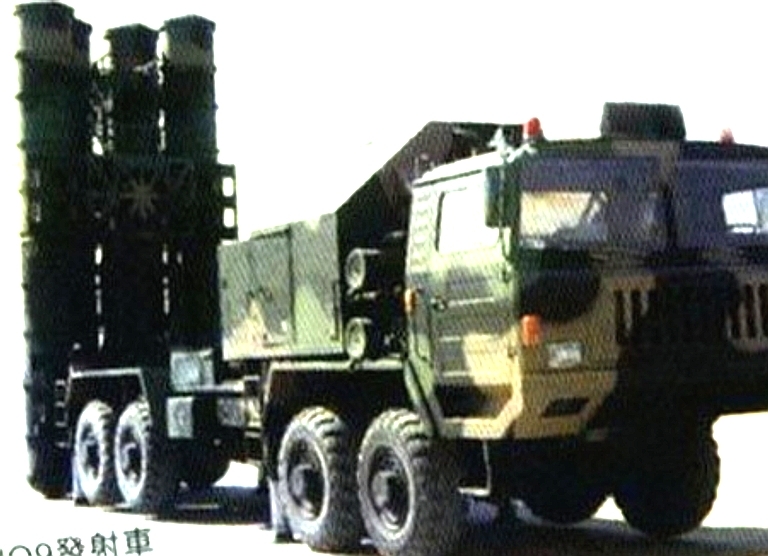 China has provided Paskitan the HQ-2B Surface to Air Missile and the HQ-9 missiles. These are two stage missiles capable of intercepting high altitude targets like strategic bombers and spy planes and are equipped with countermeasures to defend a missile defence. HQ missiles have ‘expanded operational zone’, ‘shortened preparation time’, ‘simplified and mobile launch equipment’ and ‘ability to attack high speed targets’. HQ-9 is a long-range Surface to Air Missile to ‘counter high-performance aircraft, cruise missiles, air-to-surface missiles and tactical ballistic missiles’. Pakistan has also acquired the FN-6 Man Portable Air Defence System from China. It is a sophisticated infrared surface to air missile. China has joined the select club of countries that indigenously manufacture effective SAMs. Initially drawing on decades of Russian research, they have re-engineered the highly effective Russian S-300PMU or SA-20 system into the HQ-9.With many obsolete SAMs to replace, China has built a high-capacity production line, and is progressively replacing obsolete SAMs with new SAM systems. The Chinese SAM replacement strategy will generate a ‘China Price’ for the HQ-9.Once the production facility cost is ‘written down’ to zero, and with the research and development costs greatly reduced by drawing from Russian intellectual property, new generation HQ-9 batteries will be sold relatively cheaply – perhaps half the cost of a Russian S-300PMU / SA-20 series SAM battery and a small fraction of the cost of a US built Patriot Battery. 1 Please refer China delivers more advanced weapons to Sudan - Sudan Tribune: Plural news and views on Sudan. 3 Richard D Fisher, Jr and Carlo Kopp, ‘Game Changers; Chinese SAMs and Russian VHF Radar May Alter Air Tactics’, Defense Technology International, December, 2009; also Andrei Chang, China exports new surface-to-air missile, United Press International, 18th March, 2009, URL: China exports new surface-to-air missile - UPI.com; Andrei Chang, China's strategic ties with Indonesia, United Press International, 15th April, 2009, URL: Asia News - South Asia News - Latest headlines – News, Photos, Videos - UPIAsia.com; News Report, Iran to procure Chinese defense system, The Jerusalem Post, 11th May, 2009, URL: http://www.jpost.com/servlet/Satellite?cid=1241773221488&pagename=JPost/JPArticle/ShowFull; News Report, Russia 'losing to China on Iran S-300 quest' , Payvand Iran News/Press TV, 10th May, 2009, URL: http://www.payvand.com/news/09/may/1109.html. Syrian's used Tor M1 against Turkish F 16's & they were very effective. PLA is operating them & PA should go for Tor M1, as they will serve really well in PA.
Can the HQ-9 be compared to s-300 or s-400 systems ? ?